What REALLY went down in Georgia? The percieved wisdom regarding the recent crisis in Georgia is that Georgian President Mikheil Saakashvili sent troops into the breakaway district of South Ossetia to restore order in their breakaway province, thereby provoking a Russian invasian on August 7, 2008. The percieved wisdom is wrong. Like many of us I was aware that Vladimir Putin was causing trouble for his Gerorgian neighbours and former Soviet state. I was unaware of the history; the nature and the breadth and depth of Russian meddling. Fortunately we have Michael J. Totten to enlighten us. " Georgia didn't start it on August 7, nor on any other date. " Totten writes from Tblisi, capital of Georgia. "The South Ossetian militia started it on August 6 when its fighters fired on Georgian peacekeepers and Georgian villages with weapons banned by the agreement hammered out between the two sides in 1994. At the same time, the Russian military sent its invasion force bearing down on Georgia from the north side of the Caucasus Mountains on the Russian side of the border through the Roki tunnel and into Georgia. This happened before Saakashvili sent additional troops to South Ossetia and allegedly started the war." Totten interviews participants and historians in Tblisi and clears the air for a better understanding of the evil intentions of Vlad the Impaler II and his minions. Read it here"
More attacks like one on aid workers will happen unless Canada leaves Afghanistan, says letter from Taliban. KANDAHAR, Afghanistan -- Canadians must convince their government to pull out of Afghanistan or face more attacks like the one that killed two Canadian aid workers last week just south of Kabul, the Taliban have said in an "open letter" addressed to "the Canadian people." Shirley Case and Jacqueline Kirk of the New York-based International Rescue Committee were shot to death in a Taliban ambush in Logar province Wednesday, along with an American woman and their Afghan driver. The Taliban said while they don't want to kill Canadians, they have no choice as long as Canada continues following the "American" agenda. "Events such as Logar will happen again, because occupied Afghanistan looks at all actors that are established in the interest of America with an eye of hostility," said the letter dated Aug. 15 and sent on behalf of the "Islamic Emirate of Afghanistan." "You have to convince your government to put an end to the occupation of Afghanistan so that the Afghans are not killed with your hands and so that you are not killed with the hands of the Afghans." In the letter, the Taliban suggested Canada "sacrificed" its national and international self-respect by not following a "neutral agenda." They also blame Canada for injuring and killing many Afghan men, women and children and suggest last week's attack was revenge. "It's not surprising the Taliban are targeting aid workers, they're targeting their own civilians ... " said Kory Teneycke. "This is a propaganda exercise. We're not going to respond to threats, and certainly it will have no effect on Canadian policy." In an interview with The Canadian Press, Taliban spokesman Qari Muhammad Yussef affirmed the Taliban position that it does not wish to harm Canadians or be harmed by Canadians. "Canadians are working under the policy of America. It is a big mistake," he said. "Don't sacrifice your politics for America." In reality, Canada is among some 40 countries that are part of NATO's United Nations-mandated International Security Assistance Force. While the United States is part of ISAF, it is also part of Operation Enduring Freedom, a parallel Afghan mission involving the U.S., Afghan forces and several other countries. A Canadian soldier has died in Afghanistan after insurgents attacked a remote outpost in the volatile Panjwaii district. It's the second death in three days. Master Cpl. Erin Doyle was killed early Monday in the attack. He was a member of the 3rd battalion of the Princess Patricia's Canadian Light Infantry, based out of Edmonton. Up to 10 gunmen attacked the outpost before dawn. Canadian soldiers returned fire and called in artillery and air support, killing or wounding all of the insurgents. "Master Cpl. Doyle was killed while he was protecting his position and his fellow soldiers," task force commander Brig.-Gen. Denis Thompson told reporters. It was the third tour Doyle had served in Afghanistan. "Erin was a big, tough, mountain of a man who enjoyed the outdoors," said Thompson. "He was a true warrior and just the person you would want beside you in a firefight." Friends described the 200-lb. man as a "friendly giant." Chief Warrant Officer Chris White knew Doyle for five years, and said he was the kind of guy you want to "sit down and have a beer with." Doyle leaves behind his wife Nicole and daughter Zarine. 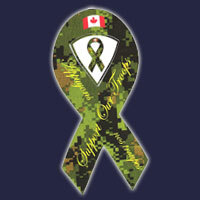 Prime Minister Stephen Harper released a statement Monday saying Doyle was an exceptional and courageous soldier. A second soldier was injured and taken to the multinational hospital at Kandahar Airfield, where the bulk of Canada's troops are based. The attack happened at a small outpost beyond the forward operating bases in Kandahar province, according to the Globe and Mail's Gloria Galloway, who is currently reporting from Kandahar Airfield. She told CTV Newsnet that soldiers have been "devastated" by the loss of two comrades in a span of just three days. Doyle is the 90th Canadian soldier to die in Afghanistan since 2002. Last weekend, Master Cpl. Josh Roberts was killed during another firefight with insurgents. A convoy of Afghan civilian security personnel was travelling through the area at the time, and the Canadian military is investigating any possibility of friendly fire. Canadian and U.S. soldiers are interviewing members of two private security forces who were in the convoy. The two groups are called Compass and USPI. "Their normal contact drill is as soon as they get hit with something, it's 360 -- open up on everything that moves," Canadian soldier Maj. Corey Frederickson told Stars and Stripes, the overseas newspaper for the U.S. Armed Forces. "That's probably what happened. And in the meantime, we think maybe a coalition soldier got hit." In video footage shot by Stars and Stripes, U.S. soldiers ask members of USPI and Compass whether they fired any ammunition during the incident. When one man says no, a soldier accuses the group of lying. The soldiers then search vehicles operated by members of USPI and Compass, and find unauthorized heavy weapons and police uniforms. "The Compass convoy is the one we suspect opened up on the Canadians," U.S. Army Maj. Kevin J. Reilly told the newspaper. The Canadian military is still investigating the incident and no reports of friendly fire have been confirmed. Canadian military officials have said private security teams are essential for keeping security in Kandahar, especially in turbulent regions like the Panjwaii and Zhari districts.